Cary King served in the U.S Army and National Guard and was in the infantry and artillery in the Vietnam War during 1967 and 1968. Hear part one of Cary King's conversation on WABE's A Closer Look.Hear part two of Cary King's conversation on WABE's A Closer Look. Inside WABE studio four, as Cary King flips through a bulging red scrapbook, the decorated war veteran describes each item and relives a past that some veterans would rather forget. It’s not the fanciest of scrapbooks, but for King the military medals, photos and certificates that it holds are more important. King served in the U.S. Army and National Guard and was in the infantry and artillery in the Vietnam War during 1967 and 1968. For his service, he was awarded five Bronze Stars, the Vietnamese Cross of Gallantry, a Purple Heart and five air medals. This is just half of King’s commendations. Forty years ago on April 30, Saigon fell. It marked the military end of the Vietnam War. The goal of the United States was to support the South Vietnamese government as it tried to keep independence from the communist north. 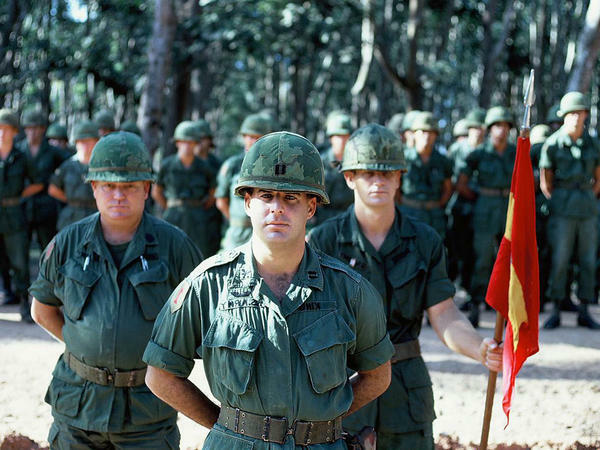 Even today, opinions vary on whether the U.S. should have ever been involved in Vietnam. In a two part conversation, King spoke with “A Closer Look” host Rose Scott about his military service. As far back as he can remember, King says he always wanted to join the military. He attended Grady High School and in the 10th grade joined the Junior ROTC. 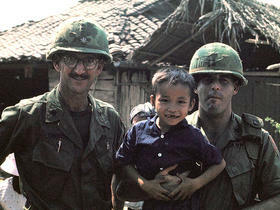 After volunteering on two occasions, King was finally heading to Vietnam. It didn’t take long for King to see combat. King says his first big attack was in the battle of Loc Ninh. There was no hero’s welcome when he returned, but he didn’t expect it either. King references Canada because many young men fled north to avoid being drafted and sent to Vietnam. The decorated veteran says he holds no negative feelings toward those who opposed the war or even those that taunted returning Vietnam soldiers. However, King is adamant about never forgiving actress Jane Fonda. In 1972, Fonda was photographed while in Hanoi, the capital of North Vietnam, sitting on an anti-aircraft weapon among Vietnamese soldiers. She would be called Hanoi Jane and labeled anti-American. King is an attorney and senior counsel with Jacobs & King. He’s heavily involved with the Atlanta Vietnam Veterans Business Association and interviews other veterans for the Veteran’s History Project. Now a grandfather, King says he has shared his military experiences with his grandchildren.